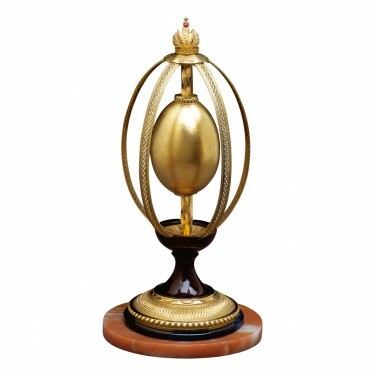 Presented to Her Royal Highness, The Princess Alexandra, The Presentation Golden Egg celebrates the 75th Anniversary of the People's Dispensary for Sick Animals. The ornate Egg represents an encaged animal and its desire to be free and healthy. 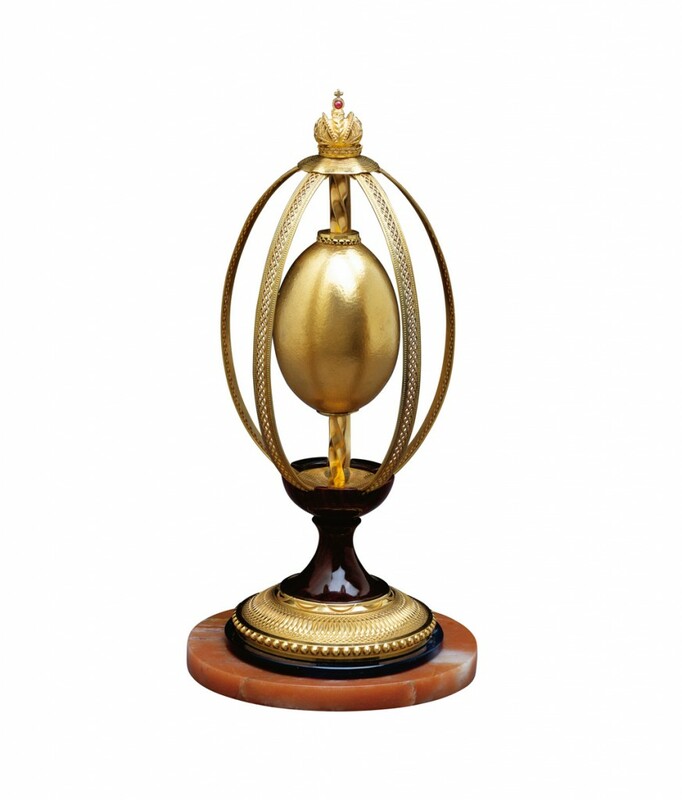 The Egg, decorated with 24 carat gold is held timelessly within an enclosure of delicate gilt filigree, which stands upon a fine silver gilded base, all offset with the Imperial Russian Crown. 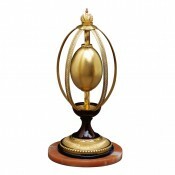 Materials: Sterling siver, 24 carat gold and wood.